The Montefiore Advanced Reconstructive Care (ARC) Program is dedicated to providing state-of-the-art, coordinated care to patients with significant reconstructive surgical needs as a result of cancer, trauma, congenital disease, or prior surgery. Due to the extent and complexity of the medical conditions, ARC patients often require multiple-staged surgeries over several months or years. Patients also have often experienced loss of function that compromises their ability to perform routine daily activities such as eating, speaking and walking. 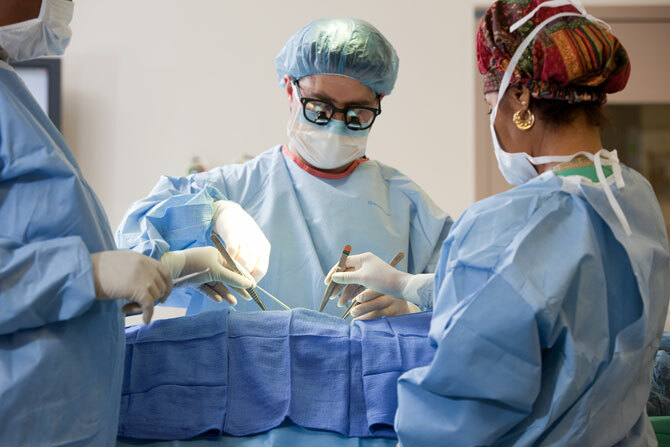 With a surgical focus on craniofacial disorders, head and neck cancer, sarcoma and limb reconstruction as well as trunk and urogenital reconstruction, the ARC program seeks to become a national leader for patients with the most difficult-to-treat reconstructive, oncological, and post-traumatic challenges.